The original role of the SFI Foundation, Inc. (SFI) is to administer a quality assurance specification program for automotive aftermarket and motorsports products. In addition to requiring certified equipment to be used in their events, race sanctioning bodies recognize the need for certification and training programs for their personnel who work at the facilities hosting their events. For this, SFI offers a Technical Inspector Certification Program. The tech inspector certification program was introduced in 1994 and was the first non-product type of program offered by SFI, with the National Hot Rod Association (NHRA) being the first sanctioning body to utilize it. Today, SFI administers such a program for twenty different sanctioning bodies worldwide. Each program is custom-designed for each organization. The purpose of the tech inspector certification program is to demonstrate that the people who carry out tech inspection during an event operate at an expected competency level and also understand the rules of their particular race discipline. This is accomplished when applicants meet certain criteria such as required experience, minimum age, attending a technical seminar and passing a written examination. Once certified as meeting the requirements, the inspector receives an SFI Technical Certification identification card and uniform patch to officially signify their status. Along with their position, the inspector is expected to apply the requirements of the rulebook fairly and impartially, and must uphold the integrity of the sanctioning body which they represent. Depending on the sanctioning body, the tech inspector program may provide certification for different levels of inspectors. For example, the NHRA has certification levels for junior drag racing as well as local, divisional, national, and chassis inspection personnel. Inspectors must also demonstrate knowledge of their rulebooks on an ongoing basis by retesting every two years. Exams are updated every year to reflect the contents of the current rulebook. An important part of the process is that the exam is open book. The goal is for the applicant to be familiar with how to use the rulebook, not to memorize it. SFI is continually updating the curriculum to be sure that the track officials and personnel who attend the related seminars are always learning current information that is relevant to today’s racing environment. SFI will develop a custom Tech Inspector Certification Program upon request for any of our Member Sanctioning Bodies. If an individual is interested in becoming a Technical Inspector or Chassis Inspector, authorization for certification as an Inspector at a particular track is determined by the appropriate sanctioning body. The SFI Foundation merely develops and administers the program on behalf of the tracks and sanctioning bodies. 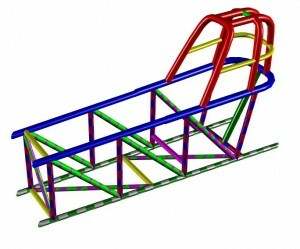 The individual should contact their local track, technical or division office to inquire about the application process. Interested individuals may contact SFI for assistance with finding the appropriate track or sanctioning body official for their situation. When contacting SFI, please provide the name and location of your track and its sanctioning body affiliation.